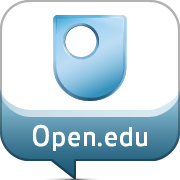 The Open University is a distance learning and research university founded by Royal Charter in the United Kingdom. Bookkeeping for Personal and Business Accounting via FutureLearn 3 hours a week , 4 weeks long 3 hours a week , 4 weeks long 6th May, 2019 No reviews yet. Diplomacy in the 21st Century via FutureLearn 2 hours a week , 6 weeks long 2 hours a week , 6 weeks long 13th May, 2019 No reviews yet. The Online Educator: People and Pedagogy via FutureLearn 4 hours a week , 4 weeks long 4 hours a week , 4 weeks long 20th May, 2019 No reviews yet. Managing My Money for Young Adults via FutureLearn 3 hours a week , 8 weeks long 3 hours a week , 8 weeks long 3rd Jun, 2019 No reviews yet. Management and Leadership: Planning Your Personal Development via FutureLearn 3 hours a week , 4 weeks long 3 hours a week , 4 weeks long 10th Jun, 2019 No reviews yet. Spanish for Beginners 3: My Life via FutureLearn 4 hours a week , 4 weeks long 4 hours a week , 4 weeks long 22nd Jul, 2019 No reviews yet. Management and Leadership: Well-being and Welfare at Work via FutureLearn 3 hours a week , 4 weeks long 3 hours a week , 4 weeks long 22nd Jul, 2019 No reviews yet. Italian for Beginners 3: My Daily Life via FutureLearn 4 hours a week , 4 weeks long 4 hours a week , 4 weeks long 22nd Jul, 2019 No reviews yet. Spanish for Beginners 4: Leisure Time via FutureLearn 4 hours a week , 4 weeks long 4 hours a week , 4 weeks long 9th Sep, 2019 No reviews yet. 23rd Sep, 2019 No reviews yet. Modern Empowerment in the Workplace via FutureLearn 3 hours a week , 4 weeks long 3 hours a week , 4 weeks long 23rd Sep, 2019 No reviews yet. Spanish for Beginners 5: Getting Things Done via FutureLearn 4 hours a week , 4 weeks long 4 hours a week , 4 weeks long 14th Oct, 2019 No reviews yet. German at Work Post-Beginners 1: Deutsch am Arbeitsplatz via FutureLearn 5 hours a week , 4 weeks long 5 hours a week , 4 weeks long 14th Oct, 2019 No reviews yet. German at Work Intermediate 1: Deutsch am Arbeitsplatz via FutureLearn 5 hours a week , 4 weeks long 5 hours a week , 4 weeks long 14th Oct, 2019 No reviews yet. Italian for Beginners 6: Out And About via FutureLearn 4 hours a week , 4 weeks long 4 hours a week , 4 weeks long 18th Nov, 2019 No reviews yet.